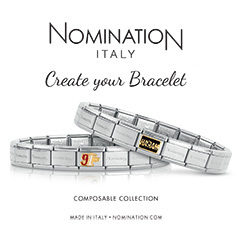 Limited Edition Leon Haslam Nomination, Italy bracelet. Available with either a HASLAM charm, or a 91 charm - please specify your choice when ordering. The charms are available seperately, see our other items.